India are set to place New Zealand in the first of two warm-up matches planned ahead of 2017 ICC Champions Trophy 2017. India play New Zealand on Sunday, 28th May 2017 at the Oval, London followed by second and last Warmup game against Bangladesh two days later on 30th May 2017 again at the Oval stadium in London. India’s game against New Zealand starts at around 10:30 Uk time and unlike other warmup games, both India’s matches will be televised live on StarSports in India. However if you don’t have access to live action, you can always tune in here for live streaming free links available usually 30 minutes ahead of the match. TV Channels: India’s two warmup games will be broadcasted live on StarSports. We will have live links of both games right here on this page. Virat Kohli will lead a very talented side India in the 2017 ICC Champions Trophy and they will be eager to get couple of good outings under their belt before the open campaign against arch rivals Pakistan on Sunday, 04 June 2017. After losing the 2015 ICC cricket World Cup final against Australia, New Zealand golden generation need to get a major trophy under their belt and one might think this is their best chance with such a balanced squad going into the big event. New Zealand recently lost the 5-match ODI series against India 3-2 but they showed they can take up the challenge on any conditions. In England they will be favourite to get the better of India even though its just a warmup game. Both of these teams had a long Test and ODI series in the later stage of 2016. India whitewashed New Zealand at home in the three test match series while India had to dig deep to win the 5-match ODI series where they won 3 ODI’s and lost 2. But playing in England is a different ball game altogether and New Zealand will fancy their chances against usual suspect Indian batting on seaming tracks. 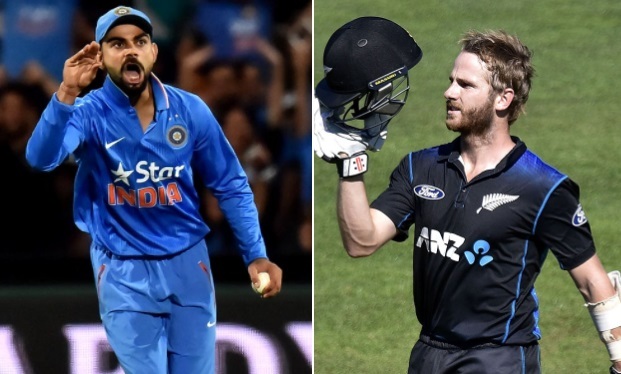 How you can watch India-New Zealand Warm-up Match LIVE ? Most of the warm up games are not shown live on TV but both of India’s matches are set to be broadcasted live on StarSports. We will have Live streaming links closer to the start of the match. What is the moderation required?